If you're lucky enough to inherit a vintage couch or pick one up from an antique store, you might love the way it looks but not how it smells. 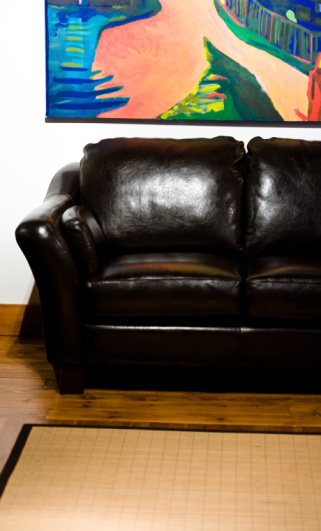 Over time, even new sofas can develop a stinky smell from spills and pets. Freshen up the sofa, instead of buying a new one. 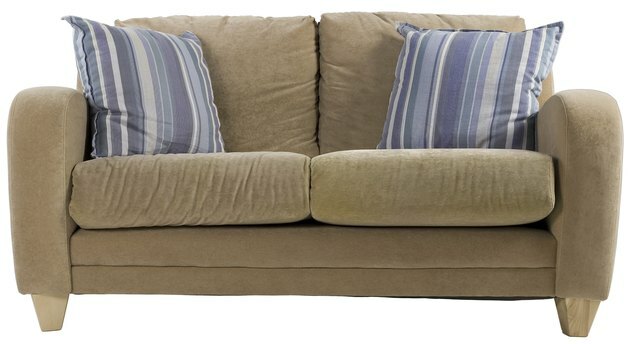 Revitalize your couch the natural way without using chemicals that will just hide the smell. Rejuvenate a couch that's smelling less than fresh. Pull the sofa outside, if it's possible. An afternoon in the sunshine is the most natural and effective way to deodorize just about anything. Airing the sofa out will do it wonders. Steam clean the sofa. Rent or buy a steam cleaner, and thoroughly clean the sofa to remove any odors and give the couch new life. Check the instructions to make sure the fabric is suitable for steam cleaning before beginning. Sprinkle baking soda over the entire couch. Allow it to sit overnight, then use a vacuum cleaner with attachments to vacuum the baking soda up. Baking soda will absorb odors. Fill a plastic spray bottle with distilled white vinegar, and spray the entire couch. Vinegar is a natural way to deodorize and removes smells without simply covering them up with perfume.